The first of Amazon’s experimental original series to fall is also its most high-profile: Zombieland co-creator Rhett Reese has announced that the show based on his hit 2009 movie “will not be moving forward on Amazon,” where it debuted little more than a month ago—tossed out to live or die, according to its customer feedback. 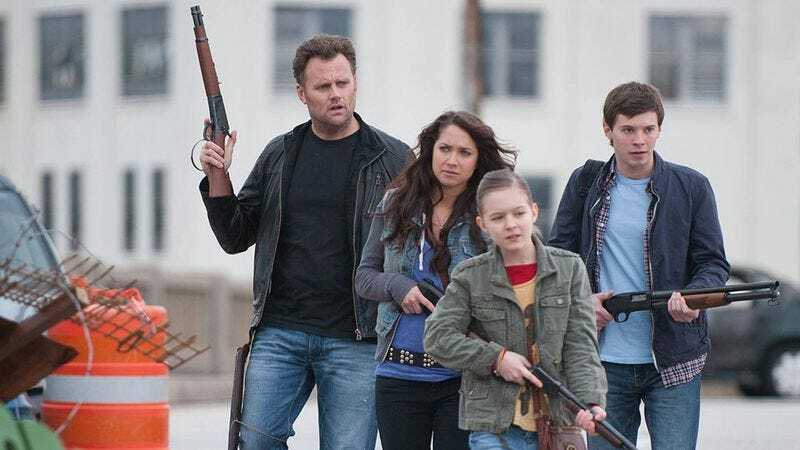 Unfortunately, that feedback was less than glowing, with Zombieland’s 3.7 out of 5-star rating deeming it not the worst of its fellow prospective series (that honor goes to Browsers), but it's definitely far from the reception Reese expected. “I’ll never understand the vehement hate the pilot received from die-hard Zombieland fans,” Reese said, unclear as to why those who claimed to love the film would react so negatively to a smaller version that replaced its stars with imitation unknowns, in an attempt to replicate its charms on the cheap. But thanks to those picky, impossible-to-please-on-a-budget fans, “You guys successfully hated it out of existence,” Reese added bitterly. So, congratulations on having standards and using a democratic system the way it was meant to operate, everyone. You successfully made Rhett Reese sad.